Rulmenti S.A., Barlad is a bearing manufacturing company located in Romania. The main shareholder is BERA Holding from Turkey. The company acts with approximately 1400 employees. 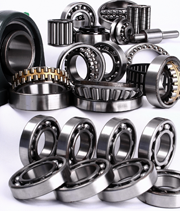 Main activities are design, production, sales and service of different types of bearings. • Attaining excellence through a strong organizational culture. We assure for our employees trainings with internal or external trainers in order to improve continuously our team members competences. In 1953, the company started to produce bearings. A continuous improvement process was developed through the actual design, production and control facilities. Numerous changes were implemented in order to raise the life expectancy, loading capacity and operating precision of the bearings. We include the respect for clients and the satisfaction of their needs among our fundamental principles. 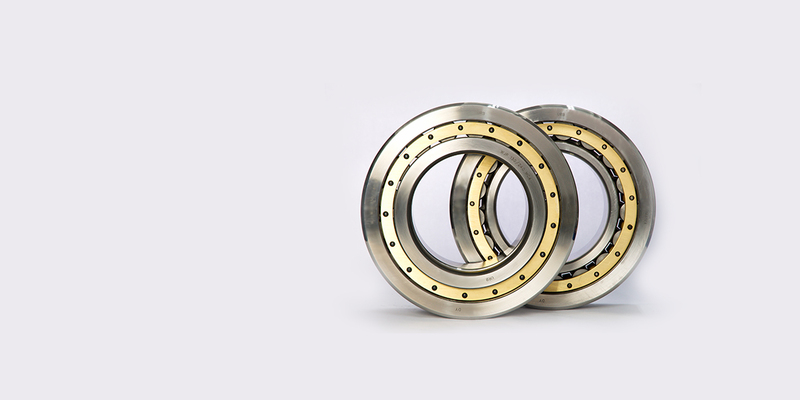 Therefore we tried to respond better to the market requirements by offering, besides the bearings with standardized shapes and sizes, a large range of non-standardized bearings, specific to various utilization. 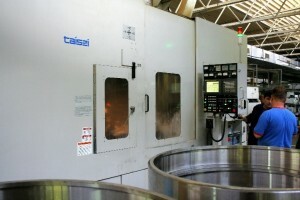 Tooling department is a competent business partner ready to offer advice, to help and solve problems. We have our own production capacity and can process parts and pieces under customer’s orders. RULMENTI S.A. BARLAD is a worldwide supplier of bearings and services in the rolling bearing business. The Company is among the biggest producers of rolling bearings from Europe and is known in the world market more than 65 years. Today RULMENTI SA produces and distributes under URB brand a full range of bearings including: Radial Ball Bearings, Cylindrical Roller Bearings, Spherical Roller Bearings, Thrust Ball Bearings, Thrust Cylindrical Roller Bearings, Tapered Roller Bearings all well-known for their precision and reliability. All bearings are produced in accordance with the standards of International Organization of Standardization (ISO) and DIN standards. RULMENTI SA is close to the customers through the wide distributor network in more than 40 countries, e.g. Romania, Germany, UK, Italy, Benelux, France, Spain, Ireland, Greece, Poland, Bulgaria, Serbia, Ukraine, Turkey, USA, South Africa, Brazil, Egypt, India, Korea, Taiwan, Thailand, Singapore, Vietnam, U.A.E. and other country. Barlad Factory was founded. The planned production capacity was of 250.000 Pcs./year. 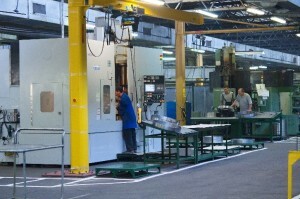 Construction and equipping of the first production capacity of 1.000.000 Pcs./year was realized. The first bearing was produced. Barlad Factory started production of four ball bearing types. First capacity increase in Barlad was realized. 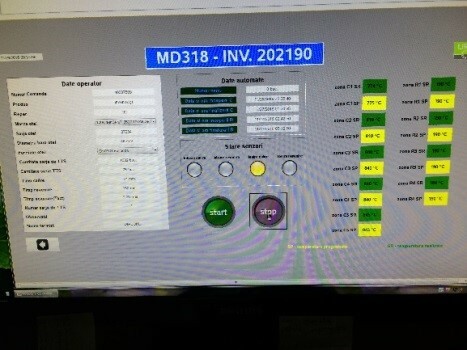 Production capacity 2.500.000 Pcs. / year. Modernization of Turning and Grinding Workshop. Technical endowment of various Workshops. Quality System Certification according to ISO 9001 / 1994, by TNO Certification Body from Netherlands. KOMBASSAN Holding bought the majority of shares. KOMBASSAN Holding actual name is BERA Holding. Registering of KRS own brand. Certification of Radial Ball Bearings, KRS brand, according to the TS 6269 Standard requirements by TURKISH STANDARDIZATION INSTITUTE. Common research studies were developed with Technical University “Gheorghe Asachi” from Iasi. Were developed and implemented new technologies for large bearings based on the last investments on machine-tools with production range till 1000 mm outer diameter and also on quality control machines for the same production range. The 60th year’s anniversary existence of URB Brand. The sales networks were developed in order to cover almost the entire industry fields. The development strategies were defined in order to improve the core competencies of our people. In this context some common projects were defined and implemented with technical universities from Galati and Iasi, focused on master studies of young engineers, in order to employee them in company. Our internal processes are developed within a strong network and also a strong multidisciplinary approach of our customer requirements analysis, products and process development. The ANSYS Mechanical software was implemented in 2014. The ANSYS simulation program can accurately predict the real mode of operation of the product. With the ANSYS Mechanical program, technical analyses can be performed for a wide range of properties such as stresses, deformations, vibrations, technical characteristics and durability. The Mesys Rolling Bearing Calculation and Mesys Shaft Calculation are finite element calculation and simulation programs which take into account the internal geometry of the bearing and the actual operating conditions. CreoParameter is an interactive 3D visualization design program and also AutoCAD is used in design activities. Visual XSel v. 12.0 is a Weibull analysis program for the accurate assessment of the lifetime during the laboratory. The heat treatment process parameters both for primary and secondary heat treatment processes are online monitorised with an integrated software based on APROL programs. 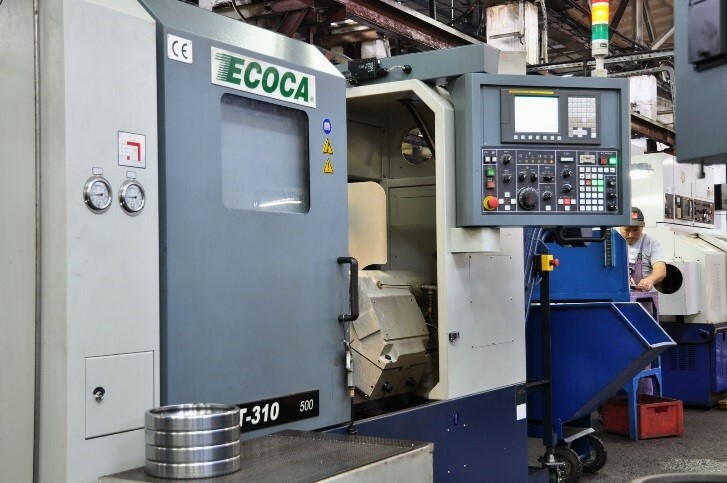 The turning process for the bearing rings has been modernized with CNC turning lathes (PUMA, DOOSAN, OKUMA, Fuji, MURATA). 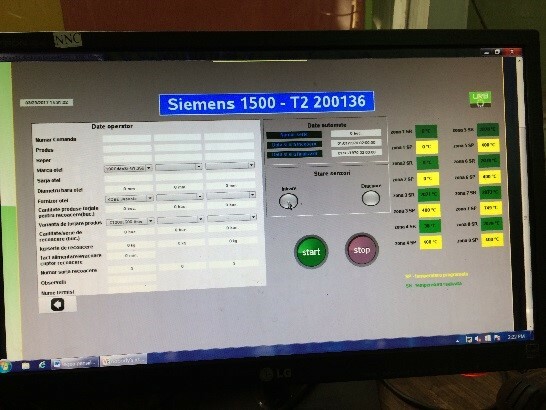 The secondary heat treatment is carried out on hardening and tempering lines and has been equipped with process computers and continuous monitoring system (APROL) of the treatment process. - archiving: the capability to save the data / parameters of the heat treatment processes in order to access them when needed. The grinding process for bearing rings is carried out on lines of grinding machines or on individual CNC or classic grinding machine-tools. 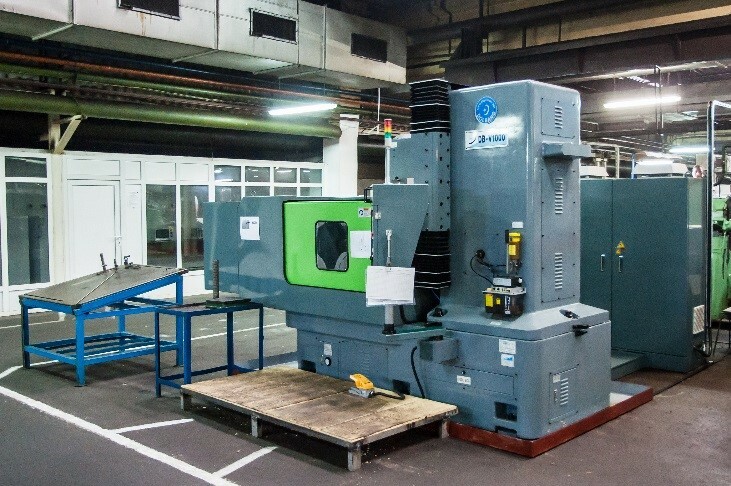 New grinding machines were bought from: TAYSEI – Japan; DOLBAN – South Korea; OKUMA – Japan. 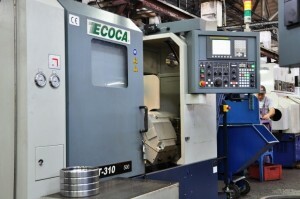 The roller manufacturing process is carried out on press machines (SAKAMURA – Japan) or CNC lathes (PUMA, MURATA). The secondary heat treatment of the bearing rollers is carried out on hardening and tempering lines and has been equipped with continuous monitoring system of the process parameters. The grinding process for bearing rollers is carried out on lines of grinding machines or on individual CNC or modernized grinding machines. 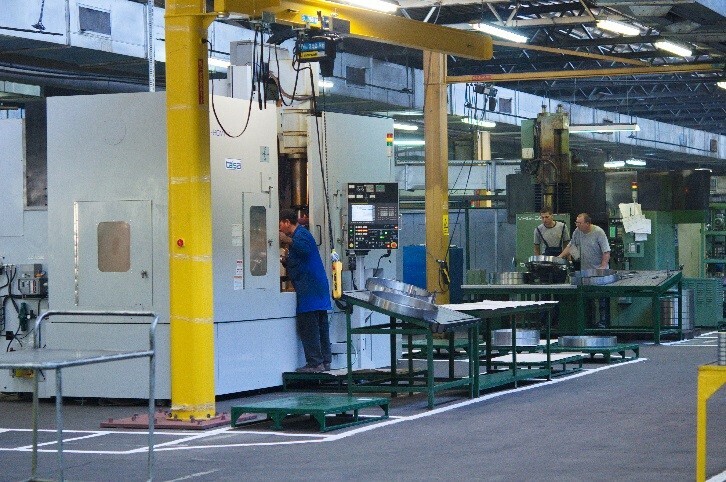 The processes for manufacturing brass cages are carried out on individual CNC machines. The technological flow was improved with new sand blasting equipment. All bearings components are inspected before assembly activities by qualified quality inspectors. All products are marked according to customer requirements. Our laboratories has the capability to measure chemical composition of the raw materials based on spectrometry method using a Quantodesk equipment and also the results of the secondary heat treatment process based on X-RAY method using a new Difractometer X- RAY. The geometric measurement laboratories area has become one of the most important factor in our development strategies and were modernized and equipped with new devices and equipment’s in order to check parameters according to customer requirements and internal procedures. For the final inspection of the bearing rings and rollers, new equipment was acquired for non-destructive ultrasonic checking , the TTPS ECHOGRAPH manufactured by KARL DEUTSCH – Germany and Eddy current testing equipment. The ultrasonic testing equipment is automatic and ensures a high productivity and a high accuracy of the measurements. Nondistructive control using visual testing, ultrasonic testing, magnetic testing and eddy curent testing methods are used. These types of control are performed by certified operators levels. The dimensional checks of the assembled bearings are performed on the 3D coordinate measuring equipment. The company has implemented and maintains an integrated management system including certifications according to Quality, Environment and Occupational Health and Safety standards. The quality management system is also certified according to ISO/TS 16949 a specific standard for automotive industry. In case of products which are delivered to be used in railway industry we are certified according to IRIS standard (International Railway Industry Standard).